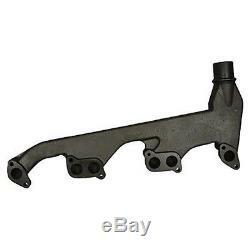 One New John Deere Replacement Exhaust Manifold that fits Tractor models: 4000, 4010, 4020, 4040, 4050, 4230, 4240, 600 Industrial. ALL WITH DIESEL ENGINES Colors may vary Gasket sets available separately in another listing. Our processing system is automated. Thank you for your continued patronage. We carry parts for Engines, Transmissions, Front & Rear Axles, Hitch & Drawbars, Undercarriages, Final Drives, Seats, Bearings, Cups, Cones, Seals, Discs, Couplers, Gears, Brakes, Pressure Plates, Pilot & Throw Out Bearings, Ring & Pinions, Gaskets, Decals and MORE for most high wear items. We also carry replacement parts for the Boom Cylinder (Seal Kits, Tubes, Glands, Pistons, Rods). 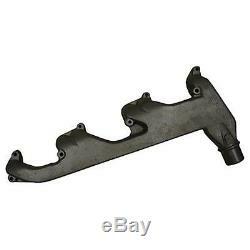 The item "R26362 New Diesel Manifold Made To Fit John Deere 600 4000 4010 4020 +" is in sale since Wednesday, June 22, 2011.